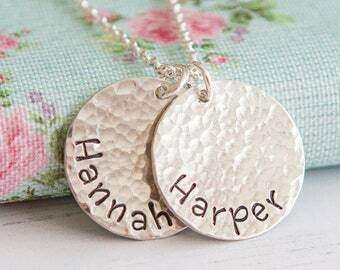 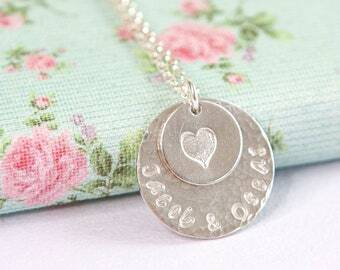 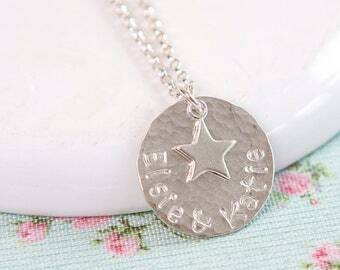 This silver disc necklace that features three initials is the perfect Mother's Day gift to make any Mum smile! 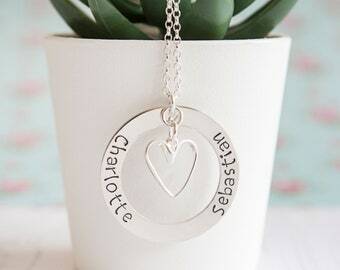 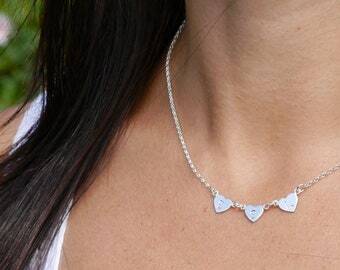 Handmade in sterling silver, this also makes a great gift for grandmothers, best friends or sisters. 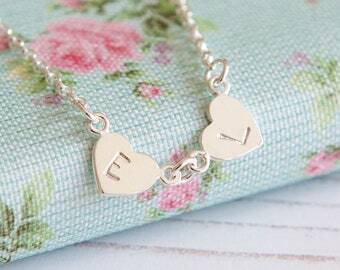 Sterling silver chain - choose from either 16, 18 or 20 inches. 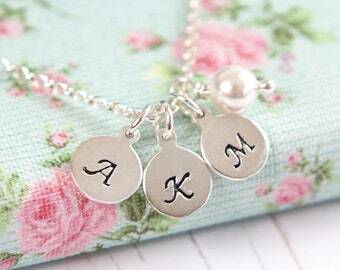 Your necklace will ship within 3-5 working days after purchase. 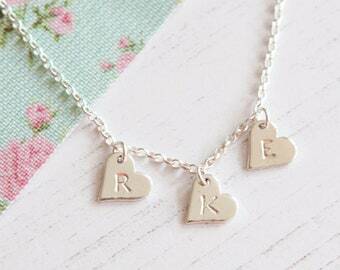 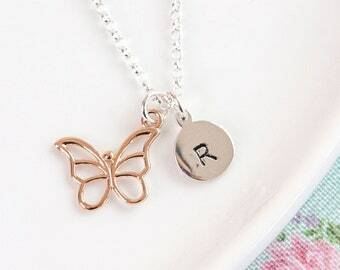 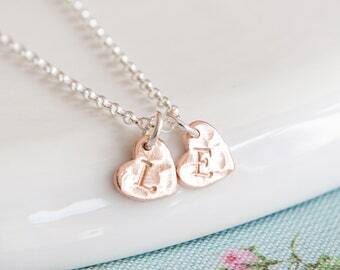 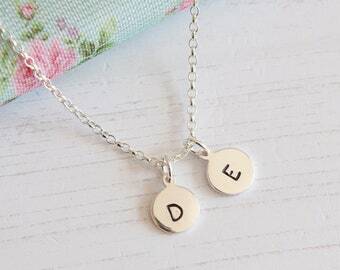 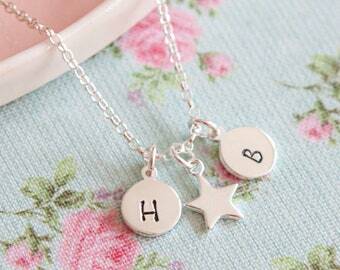 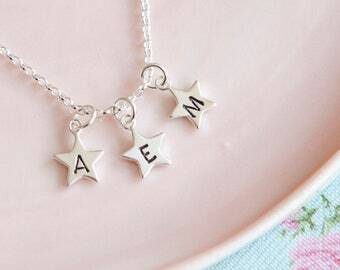 Bought this necklace for my colleague with the initials of her 3 children as a leaving gift and she loved it!! 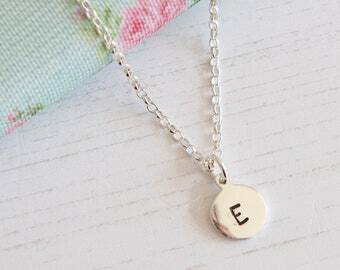 I ordered this quite last minute but the seller was great in getting back to me about when she expected it to be delivered and it was a day early!! 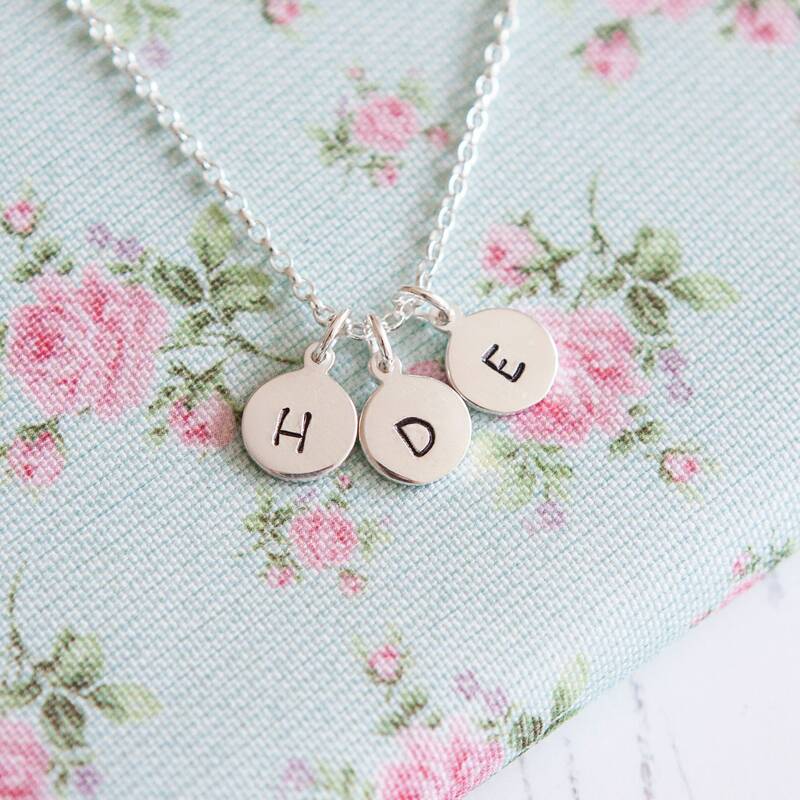 I definitely recommend this seller and the necklace.